First Harvest Festival a Success! Some people got some Christmas shopping done early. The Micmac Harvest Festival took place on Nov. 17. About 16 vendors from Aroostook County went to Micmac Farms from 9 a.m.- 4 p.m. and sold their goods. Some of the items sold were pickled foods, jellies, jams, teas, meat and baked goods. Jessica Thibeault and her husband own J&R BBQ and were at the event. “It went really well. I felt like it was a really nice atmosphere there. I really like all of the different vendors that were there. I think we did well,” Thibeault said. The support that the Harvest Festival received from UMPI was astounding. Jacob Pelkey is the marketing manager of Micmac Farms and was so delighted with how everything went. “The college let us hang posters in the Campus Center and the science halls, and even a campus-wide email was sent out to all staff! So for all of that we are very grateful to the support and the community is at the roots of what we do here at Micmac Farms,” Pelkey said. The festival was a huge success for the vendors and Micmac Farms, as some vendors sold out. “This first Harvest Festival Market was a trial to see if a winter’s farmers market could succeed, and the community proved that this is something they want to support. I do not have an estimate as to how many people visited the market that day, but three farms did sell out and leave before 1pm,” Pelkey said. 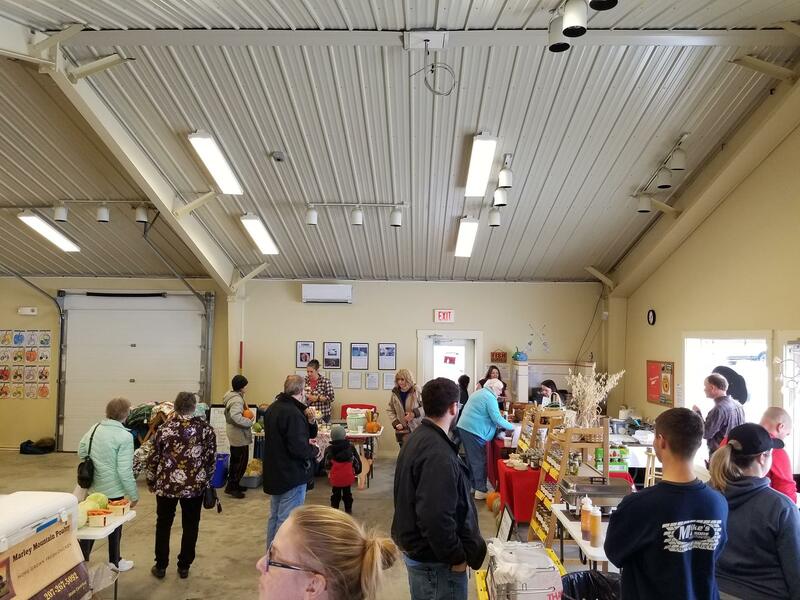 Micmac Farms was so encouraged that they hosted a Holiday Festival Market on Dec. 15. Next Next post: Do You Deck the Halls Before Thanksgiving?